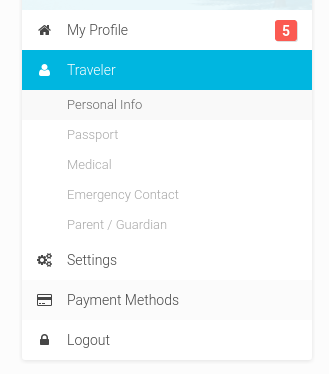 On My Profile under the Traveler section, you can enter your Medical information. 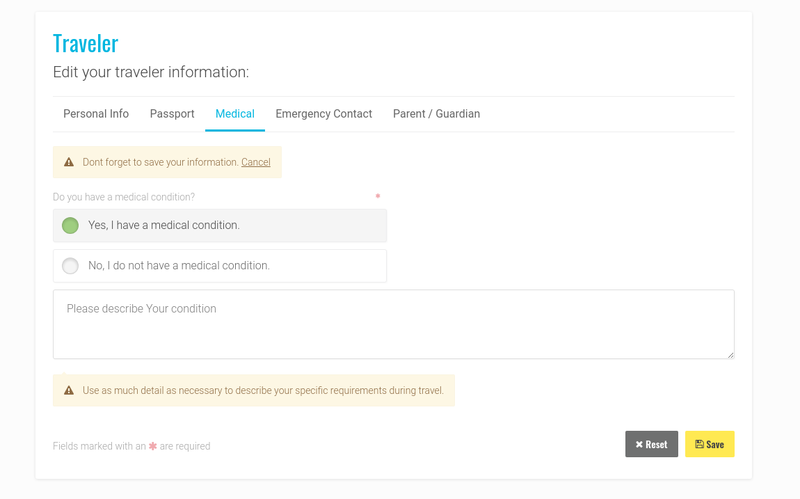 You'll click "Yes, I have a medical condition", and you'll be prompted with a section to describe the condition. Please provide us with as many details as possible. It is also recommended that the Medical Form also be sent to us if you need to give us more detailed information/instructions. Note: A staff will meet with any traveler that has a medical condition at the briefing/check-in to discuss their condition. We want to have a face-to-face discussion with these travelers and make sure they have everything they need and know what to do in case of an emergency.